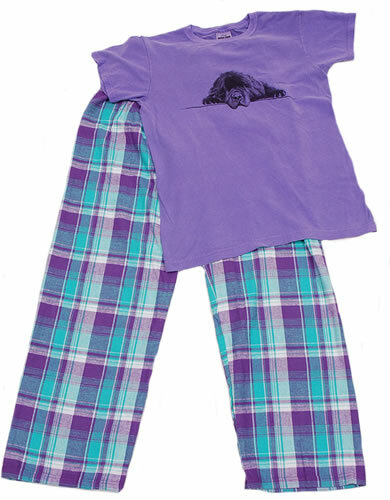 Delightful Sleeping Newf image on short sleeve shirt with plaid flannel bottoms. Shirt is women's cut. Pant is unisex with drawstring waistband and in-seam pockets. 100% cotton.